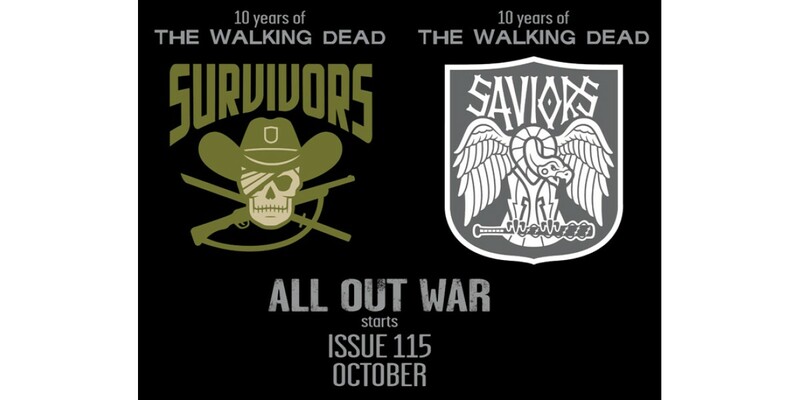 This October is the 10th anniversary of THE WALKING DEAD and we’re excited to announce that in celebration, issue 115 will have 10 connecting covers. The covers together will form an image that highlights significant moments from the past 10 years of the series. Each of the 10 individual covers will also depict a special moment from a year of THE WALKING DEAD’s illustrious history. These covers are drawn by series artist Charlie Adlard, with colors by Dave Stewart. Each weekday for the next 2 weeks, we’ll reveal a part of the connecting covers for issue 115. The first cover shown reveals a memorable moment that takes place during THE WALKING DEAD’s third year. THE WALKING DEAD #115 goes on sale on October 9, 2013 and is available for pre-order with your local comic book retailer now!